The West Loop MLS is the perfect tool to help you find the best property that fits all of your needs. 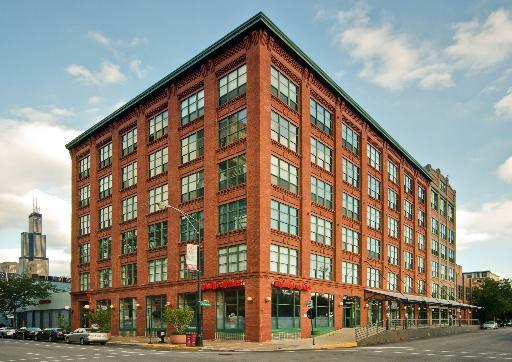 The West Loop MLS is also a great way to expose your West Loop home for sale. The West Loop MLS offers you different search options that will get you the desired results you are looking for. To start using the West Loop MLS choose one of the searches below. The West Loop is a mix of lofts, galleries, production houses, graphic design firms and wholesale food markets. The West Loop has seen major transformation in the past ten years with commercial buildings converted into upscale condominiums and trendy restaurants. Exciting new construction is popping up everywhere with a number of exciting, landmark developments. The neighborhood is becoming a better place to live every year with new retail, restaurants and bars opening up. There used to be not much more than the restaurants in Greektown on Halsted. Today with the trendy Restaurant Row on Randolph with popular places like Red Light, Marche, Sushi Wabi and Extra Virgin the area has become a destination. The West Loop also has some other great restaurants including Phil and Lou’s, Butter, Carmichael’s, Rushmore and La Luce. The bar seen has also gotten a much needed jolt with the arrival of such places like Union Park, Beer Bistro and the Third Rail.